Worship is our central priority as a church. There is nothing more important that we do as a church. Listed below are the sermon topics for the month of May 2011. In the morning worship messages, we will be completing our series in Romans 7-8 and returning to 1 Samuel for a series through chapters 8-15 on the life of Saul. 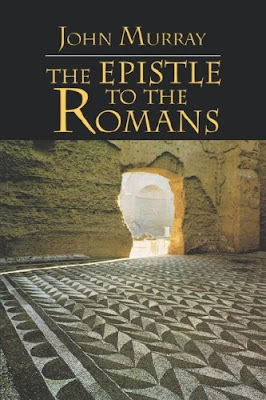 Once we complete this exposition we will return to take up Romans chapters 9-11. In afternoon worship, we will complete our series through the OT “The Book of the Twelve” and begin a new series through the NT book of Jude. I have also listed the Psalms and hymns that we are planning to sing in our worship services over the next month. Some individuals or families might like to read the texts or sing the songs in private or family devotions in preparation for the Lord’s Day. This is the course we plan to pursue, Lord willing. Looking forwarding to joining you for worship this Sunday and throughout the month. No. 18 Thee we adore, eternal Lord! I had the privilege of preaching last Lord’s Day morning on More Than Conquerors from Romans 8:31-37. What was new to me was the discovery of “nonviolent atonement” theory. I ran across the term when I got a flyer on new academic books from Westminster John Knox Press and read the blurb for Sharon L. Baker’s new book Razing Hell: Rethinking Everything You’ve Been Taught about God’s Wrath and Judgment. Baker’s book has not gotten as much press as Rob Bell’s, but at first blush it looks like they reach similar heterodox conclusions. Anyhow, the blurb on Baker notes that she has published and spoken widely “on nonviolent atonement and hell.” That got me curious as to what exactly this meant. Evangelical Christians sing hymns in which blood figures prominently; one in particular is called "Nothing But the Blood." 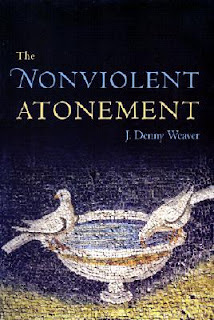 Such Christians may have to change their tune after reading J. Denny Weaver's The Non-Violent Atonement, which proposes that the idea of "satisfaction atonement" must be jettisoned in favor of a nonviolent approach. Jesus' death, says Weaver, was not planned or sanctioned by God the Father; it was the inevitable result of sinful humans taking matters into their own hands. Perhaps the new hymn can be called "Everything But the Blood"? This revisioning of the atonement is apparently popular among some liberal-leaning churches and theologians in the Anabaptistic, pacifistic tradition. Baker, for example, teaches at Messiah College (an evangelical school?). In the end, the “nonviolent atonement theory” falls flat. Why? It does not match up with scandalous passages like Romans 8:32. It reminds one of H. Richard’s Niebuhr’s well-known assessment of “social gospel” liberal Protestantism: “A God without wrath brought men without sin into a kingdom without judgment through the ministrations of a Christ without a cross." 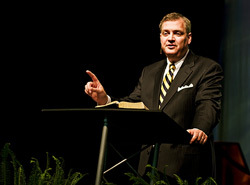 Al Mohler, President of Southern Baptist Theological Seminary and evangelical blogger/pundit, will be giving the John A. Broadus Lectures at the First Baptist Church of Charlottesville, Friday-Sunday, May 6, 7, 8. Among his talks will be sessions on the doctrines of Justification, Santification, and Glorification. There is no cost to attend. Here is the schedule for his lectures. In comparison to Christ, our love for even our dearest relatives will seem as if we “hated” them (Luke 14:26). And this can only come about by the heart so loving Christ and heavenly things that we turn with hatred from anything that would seek to draw our hearts away from Christ. When men are so concerned with earthly things, however, lawful and right, that it draws away their hearts from Christ and their spiritual duties, they sin. But they are quick to make excuses for their sin. Does the state of the poor call on them for financial help? They have their own families to provide for. Charity begins at home. Are they required to attend a prayer meeting? They are so busy that it is impossible for them to be there. By these vain excuses they declare themselves still to be under the dominion of worldly concerns. Many lie under this great danger every moment. Some have no idea that there is anything wrong with them. By such reasoning and secret thoughts, many justify themselves in worldliness. Last Monday (4/18/11) NPR ran a story by Barbara Bradley Haggerty celebrating the 400th anniversary of the AV: "Hallelujah! 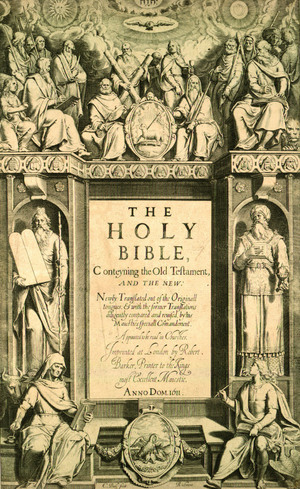 At age 400, King James Bible Still Reigns" (you can read and listen to it here). The article has a few glitches but is generally commendable. One of the oddest things to notice in this year marking the 400th anniversary of this most venerable English translation is the fact that this milestone is being celebrated more by secularists than by evangelical Christians. Can you name one major evangelical Christian conference that is marking this milestone (cf. for example the emphasis given to the 500th anniversary of Calvin's birth in 2009)? I believe part of this is due to the fact that there has been such an effort, particularly over the last c. 50 years in evangelical circles, to promote modern translations (based on modern texts) in part by demeaning the value, beauty, and usefulness of the KJV. Granted, part of this has also been reactionary against extremist KJV-defenders. Today, newer, colloquial translations have pushed the King James aside. It's mainly used in African-American, Mormon and a few Protestant churches. But in moments of tragedy or turmoil or change, leaders have often turned to the King James. [Gordan] Campbell adds that this Bible is foundational to the English-speaking world. "It's in the texture of our society rather than on the surface of it, I think. But if you trace back who we are, how we speak, how we think, many of those things have their origins in the King James Bible." He and others say that new translations will come and go, as our language changes with each generation. But as long we can understand the King James Bible, this four-century-old book will be seen as the voice of God — and the highest poetry of man. I can just see someone adding NPR to the list of "KJV-Only"ists! A few more follow ups on the recent dialogue that took place on this blog relating to the ESV translation. First, “Nazaroo” has posted a series of three articles on the Pericope de Adultera blog refuting Jamin Hubner’s challenges to the pericope adulterae (John 7:53-8:11): part one, part two, part three. Warning: The tone is, unfortunately, invective. Now it should be noted that in the Preface to the Second London Baptist Confession of Faith (which can be read at http://www.reformedreader.org/ccc/1689lbc/english/1689econtents.htm ) it is stated, "We have also taken care to affix texts of Scripture at the bottom, for the confirmation of each article in our Confession; in which work we have studiously endeavored to select such as are most clear and pertinent for the proof of what is asserted by us; and our earnest desire is that all into whose hands this may come would follow that (never enough commended) example of the noble Bereans, who searched the Scriptures daily that they might find out whether the things preached to them were so or not." With a little bit of exercise it is easy to see what text it is which the authors of the LBCF regarded as the text which God, by his singular care and providence, kept pure in all ages. They were not referring to a text about which they did not know and did not use. They were referring to the text which contains Mark 16:15-16, which is listed as a supportive Scripture reference in Chapter 7 (Of God's Covenant), part 2. It is the text which contains Mark 16:16, which is listed as a supportive Scripture reference in Chapter 29 (On Baptism), part 2. It is the text which contains Mark 16:19, which is listed as a supportive Scripture reference in Chapter 8, part 4. It is the text which contains Acts 8:36-37, which is also listed as a supportive Scripture reference in Chapter 29, part 2. It is the text which, in Romans 9:5, affirms the deity of Christ, as noted in Chapter 8 (Of Christ the Mediator), part 2. It is the text in which John 3:13 and Acts 20:28 illustrate that qualities of Christ that are proper to one nature are sometimes in Scripture attributed to the person denominated by the other nature, inasmuch as these are the only two passages cited to support this idea in Chapter 8, part 7. Hubner asks, "Doesn't the text the LBCF talks about also include the preserved texts of Codex Vaticanus, Sinaiticus, and papyri fragments?" The answer is, NO. The LBCF does not refer to the preserved texts of Codex Vaticanus, Sinaiticus, and papyrus fragments any more than its reference to creation "in the space of six days" refers to theistic evolution over millions of years. One may speculate that IF the composers of the LBCF had known about Vaticanus and Sinaiticus, they would have endorsed their texts. Just as easily, one can speculate that the composers of the LBCF would have endorse evolution, if only they had read Origin of the Species. Whatever Hubner might wish that the LCBF's composers would have done, and whatever he imagines that they might do in an alternate-universe, the fact is that when they referred to the New Testament text that God, by his singular care and providence, kept pure in all ages, they were referring to the Textus Receptus. They were not referring to the Alexandrian Text that dominates and virtually defines the modern critical text of WH and Nestle-Aland. This is unquestionable, inasmuch as the Alexandrian Text lacks verses which the LBCF explicitly cites as authoritative Scripture. Does Hubner imagine that the composers of the LBCF defined Scripture one way in Chapter 2, and different ways in their reference-citations? Most certainly not. The only way a person can be consistent while (a) subscribing to the LFBC and (b) rejecting the Textus Receptus, is to interpret the wording in the LFBC to mean that the Textus Receptus has been kept pure in the sense that it has been kept free from doctrinal error, rather than that it has been kept free from textual corruption altogether. I went many years as a believer in the pew and even as minister in the church without ever thinking through the idea of Christian holy-days (Christmas, Easter, etc.). I just took it for granted that Christmas and Easter were part of the Christian tradition and practical opportunities to teach good doctrine (whether the incarnation or the cross and resurrection) and reach “inactive” church members. I even admired the pragmatic Southern Baptist tradition of seizing on these holidays to promote mission offerings (Annie Armstrong at Easter and Lottie Moon at Christmas). The further I went in my journey in discovering Reformed (Biblical) theology, however, the more the celebration of these extra-biblical holy-days began to bother my conscience. Beyond Calvinistic soteriology (the five points) there is the Regulative Principle of worship. Slowly, the Lord began to show me the significance of the Lord’s Day as the only scripturally prescribed day of worship. We have 52 holy-days given in the course of the year, one day in seven for celebration of the resurrection. It is a sinful human tendency to add to what God has prescribed in order to augment our experience or to diminish what he has given. When Aaron created the golden calf, he also created an extra-biblical feast day (“and Aaron made a proclamation and said, Tomorrow is a feast to the LORD” Exod 32:5). Now when I hear of evangelical, Protestant, and even “Calvinistic” (soteriologically) churches following the Christian year, observing “Ash Wednesday,” “Lent” [including "giving something up for Lent"],” “Holy Week,” “Maundy Thursday,” “Good Friday,” and, yes, even “Easter Sunday,” my conscience does not rest easy. I realize that spiritual pride is a supreme danger. I do not think these are issues that are pivotal for salvation. I also realize we need to avoid ungodly legalism. I think we can distinguish between cultural celebrations enjoyed lawfully and privately in our homes and families, things that are not malum in se, and what we do in public worship in church. But I want to leave that out of my church life. In the worship of God I want only to do what is Biblically faithful. I do not want to create more confusion (where it already freely abounds) about what the Lord requires of us. The first message in a 7 part series by Steven Dilday on Holy Days. Several messages by Andrew Webb on Easter and Holy Days. I posted another reading of a message to the Andrew Fuller library on sermonaudio.com today. This funeral sermon titled "Christ Our Substitute in Death and Judgment" (Hebrews 9:27-28) was preached on February 28, 1790. It is a model funeral sermon in that it offers praise to Christ and encouragement to the believer who will die in Christ, while warning the unbeliever who will die "out of Christ." 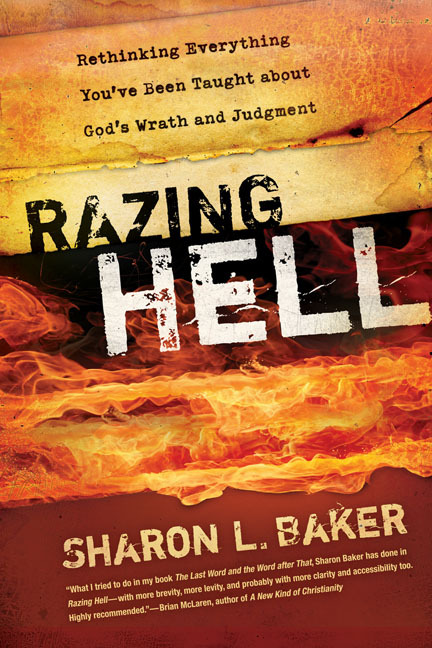 Note: This book review originally appeared in the Evangelical Forum Newsletter in 2009. I thought it might be of interest given recent discussion on the blog of the ESV translation. Lane T. Dennis, Executive Ed., ESV Study Bible (Wheaton, Ill.: Crossway Bibles, 2008): 2750 pp. The ESV Study Bible is taking the evangelical world by storm. Crossway has done a masterful job of marketing this massive work. The leading lights of contemporary evangelicalism have endorsed or promoted the work. The dust jacket includes blurbs from the likes of John Piper, Mark Driscoll, C. J. Mahaney, Jerry Bridges, Albert Mohler, Nancy Leigh DeMoss, and Joshua Harris. Top evangelical scholars have contributed the various articles. Sales are through the roof. World Magazine has named it the book of the year for 2008. It is well on its way to supplanting the NIV as the contemporary translation of choice for new evangelicals and for the “new Calvinists” in particular. Like almost all contemporary translations (the NKJV being the notable exception) the ESV is based on a modern reconstruction of an allegedly superior underlying text of Scripture. This is less of an issue in the Old Testament, as even contemporary translations, the ESV included, make use of the traditional Masoretic Text of Scripture [Though there are significant alterations, even in the Old Testament. Take Psalm 145:13 as an example. Here a bracketed half verse is added that does not appear in the traditonal Hebrew text of the Old Testament. A footnote explains: "These two lines are supplied by one Hebrew manuscript, Septuagint, Syriac (compare Dead Sea Scrolls)."]. The main issue arises with the text of the New Testament where the ESV is based on the modern critical Greek text and not on the traditional text reflected in the Majority or Byzantine manuscripts. The ESV Study Bible articles and study notes take it as a matter of course that the modern critical Greek text is superior and give no credence to any defense of the traditional text. Dan Wallace of Dallas Seminary contributes the article on “The Reliability of the New Testament Manuscripts” (pp. 2587-89). He presents the conventional neo-evangelical view that “Christians can, in fact, have a very high degree of confidence that what they have in their hands today is the Word of God” (p. 2587). A “high degree of confidence” is not, however, absolute confidence. He notes that Mark 16:9-20 and John 7:53-8:11 are the most significant textual variants in the New Testament and concludes: “The earliest and best manuscripts lack these verses. In addition, these passages do not fit well with the authors’ style. Although much emotional baggage is attached to these two texts for many Christians, no essential truths are lost if these verses are not authentic” (p. 2588). Wallace has, in fact, openly crusaded for the deletion of these verses from the New Testament. 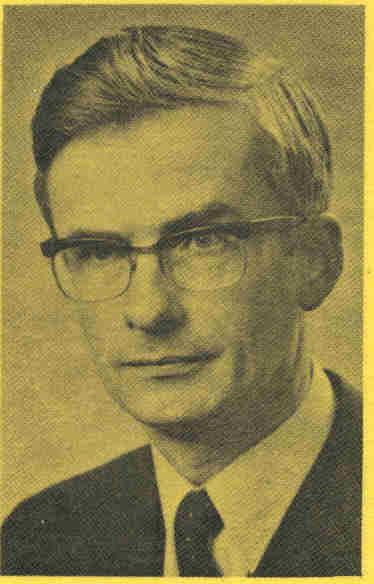 In a 2008 plenary address to the Evangelical Theological Society, Wallace claimed that the only reason they remain is a “tradition of timidity” among evangelical translators [The address was reprinted in the Journal of the Evangelical Theological Society (JETS). See Daniel B. Wallace, “Challenges in New Testament Textual Criticism for the Twenty-First Century” (JETS, Vol. 52, No. 1: pp. 79-100).]. He noted that he hoped to remove them from future editions of the NET Bible (which he serves as NT editor) and boasted that at the least he had succeeded in printing them in a “smaller font with brackets around them” and this “makes it harder to read from the pulpit" [Ibid., p. 99]. "In summary, vv. 9-20 should be read with caution. As in many translations, the editors of the ESV have placed the section within brackets, showing their doubts as to whether it was originally part of what Mark wrote, but also recognizing its long history of acceptance by many in the church" (p. 1933). "There is considerable doubt that this story is part of John’s original Gospel, for it is absent from all of the oldest manuscripts. But there is nothing in it unworthy of sound doctrine. It seems best to view the story as something that probably happened during Jesus’ earthly ministry but that was not originally part of what John wrote in his Gospel. Therefore, it should not be considered as part of Scripture and should not be used as the basis for building any point of doctrine unless confirmed in Scripture" (p. 2039, emphasis added). Such statements hardly seem likely to build a rousing confidence in the reader in the divine preservation of Scripture. The ESV Study Bible is very much an academic resource. It seeks to be in dialogue with and to defend a neo-evangelical view of the Bible over against a more skeptical and critical mainstream academic approach. Although a few of the resource articles are written by scholarly pastors (e.g., Mark Dever of Capitol Hill Baptist Church in Washington, DC wrote “God’s Plan of Salvation” and John Piper of Bethlehem Baptist Church in Minneapolis wrote, “Reading the Bible in Prayer and Communion with God”), the Bible study notes are all written by professional academics. Rather than listing the churches where these authors are members, it lists not only the institutions where they currently teach but also the places where they received their doctoral degrees (see “Contributors” pp. 13-18). The editors clearly want to impress the reader with the academic credentials and respectability of the scholarship underlying the commentary. The ESV Study Bible is to be commended for generally defending traditional views on issues like authorship, dating, and provenance. So, for example, Raymond Ortlund argues for a unified view of single authorship for the book of Isaiah by Isaiah, the son of Amoz (see pp. 1233-34) and Doug Oss concludes, “It is reasonable in light of all the evidence, and clearly supported by the claims of the letter itself, to conclude that the apostle Peter wrote 2 Peter” (p. 2415). One wonders, however, whether so much attention should be given to full explanation of such critical theories, even if they are eventually rejected. This leads to another potential weakness in the ESV Study Bible—a lack of confessional unity. 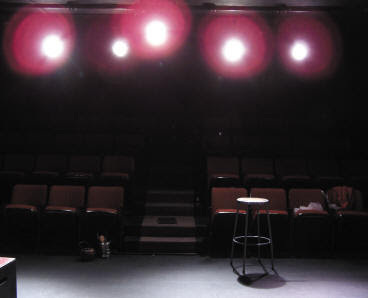 The contributors apparently represent a wide range of confessional perspectives. There are Baptists, Presbyterians, Anglicans, Wesleyans, Assemblies of God, etc. The introduction states that the ESV’s doctrinal perspective is “in the historic stream of the Reformation.” It adds that the notes “sought to represent fairly the various evangelical positions on disputed topics such as baptism, the Lord’s Supper, spiritual gifts, the future of ethnic Israel, and questions concerning the millennium and other events connected with the time of Christ’s return” (p. 11). Though one might praise the diversity of perspectives, one might also wonder if the lack of confessional unity might also “water down” the doctrinal conclusions offered in the commentary. Finally, the ESV Study Bible certainly reflects the spirit of the “Google” generation. It seems to want to put as much information and as many topics as conceivable at the fingertips of the reader. The Introduction boasts that this is “the most comprehensive study Bible ever published” containing “more than 2 million words of Bible text and insightful explanation and teaching—equivalent to a 20-volume Bible resource library” (p. 9). Indeed, the range of issues addressed in the resource articles is expansive and seemingly exhaustive, covering everything from systematic theology to ethics to world religions to liturgy. One wonders, however, if it might be possible to provide too much information. Do all the charts, graphs, notes, and articles crowd out the most important component of all—the text of Scripture itself? The editors seem to recognize this potential danger. They even warn the reader that the notes “must never become a substitute for the Bible itself” (p. 9). Still, one suspects that the jewel of the Biblical revelation itself might easily become hidden in the avalanche of information. There is a place for edifying, uninspired writings that make use of the Biblical revelation. But is the best place to display such uninspired writings in a volume bound up with the text of Scripture itself? Perhaps we could learn a lesson from the past. The Authorized or King James Version of the Bible was in part produced in order to provide an English translation that did not include interpretive commentaries and notes. 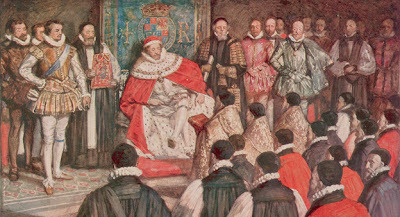 Conventional wisdom says that King James and his royalist supporters favored such a move in order to supplant the republican sentiments of the popular Geneva Bible, the first real English study Bible. Perhaps, however, even the Puritan members of the translation committee also supported such a move, because they recognized the value of printing a text of Scripture apart from interpretive notes in order to give the reader the advantage of a raw encounter with the Word of God alone. The ESV Study Bible is a massive work reflecting the current state of the art in neo-evangelical Biblical interpretation. It will, no doubt, do considerable damage to the NIV’s place in evangelical churches as the modern version of choice and may well make the ESV the heir apparent to the contemporary translation throne. It is already the darling of the young, restless, and newly reformed ministers who flock to events like “Together for the Gospel.” I have traced above, however, some of the reasons why one might hesitate to embrace the ESV (i.e., its association with the RSV and its use of the modern critical text). The theologically trained and seasoned Pastor with well set doctrinal convictions might profit from having a copy of the ESV Study Bible for use in preparation for teaching and preaching, or merely for understanding better the current state of evangelical Biblical scholarship. I would stop short, however, of commending it to the lay people in the church who have not been exposed to historical criticism for fear of it undermining rather than strengthening their confidence in the Scriptures. 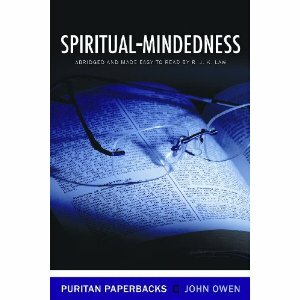 Owen on Vanity of Mind: "Like a drunkard on a pub crawl"
The Puritan John Owen apparently wrote his book Spiritual-Mindedness, a collection of meditations on Romans 8:6, in 1681 during a time of physical illness. As he lay recovering, Owen was alarmed by the subtle power of the world over his own mind. This vanity of mind will always be with us while we are here on earth. It is always ready to receive impressions from vain and useless things and so is continually tempting the mind to wander from one thing to another. This vanity of mind enjoys earthly things, whether lawful or unlawful. Like a drunkard on a pub crawl, so this vanity of mind is constantly in search of intoxicating worldly pleasures (pp. 239-240). One reason we need the church, including regular attendance at public worship, is so that we can be “spiritually minded” and resist Satan’s efforts to seduce us into vanity. Image: Conversation in the line for our Sunday Fellowship Lunch last Lord’s Day (4/10) at CRBC. In our afternoon worship service last Sunday, I shared about a mission project in Romania we recently learned about. Grace RBC in Mebane, NC is sponsoring sending Reformed Baptist Pastor and theologian Sam Waldron to speak at a conference May 18-23 at Logos Baptist Church in Arad, Romania. Logos is—to their knowledge—the only independent, 2LBCF 1689 affirming church in Romania. 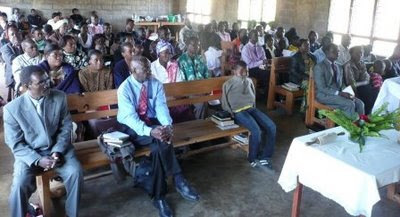 The conference will expose Pastors and Christians to Reformed, Biblical Christianity. Grace RBC is also planning to print copies of Dr. Waldron’s book To Be Continued which is being translated into Romanian to distribute to those who attend this conference and to others. To Be Continued is a book that addresses confusion about “charismatic gifts” and argues that these gifts ceased after the age of the apostles. For a review I wrote of this book sometime back, look here. There is currently much confusion among Baptists in Romania about spiritual gifts. 1. Let’s join in prayer for this project. Last Sunday morning, I had the privilege to preach on "A verse that has blessed many" (Romans 8:28). Here is one of the applications from the message which included an illustration from the life of Bernard Gilpin. We should remember this verse when we face unpleasant and difficult circumstances. Sometimes we might need to write it on a card and keep it in our wallet or our pocket and read it over and over throughout our day. We need to memorize it, hide it in our hearts that we might not sin against God. This verse tells us that God orchestrates all things for the good of his saints. Even things that might be painful and initially appear to be only evil, God is pleased to use for our good. Recently in our family devotions we read the story of Bernard Gilpin (in the children's book, How God Used A Snowdrift). 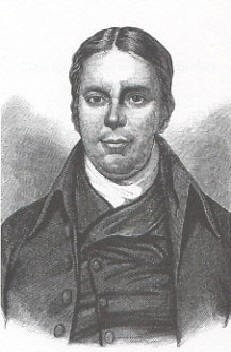 Gilpin was a faithful minister who lived during the time that the gospel was being rediscovered in England. The Catholic Queen Mary was on the throne, and she and her officials were persecuting the men and women who had come to embrace the gospel. One day Gilpin received a summons to go to London to be tried by court officials who were burning Protestants at the stake. When he left home his friends thought they would never see him alive again. Sure enough, while he was waiting for the leg to heal, Mary died, and her sister Elizabeth, a Protestant, came to the throne, and the persecution of ministers stopped. 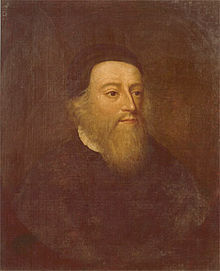 Rather than going to London to his death, when his leg healed, Gilpin returned home in safety. Perhaps there have been painful things that have happened in your life. Things far worse than a broken leg. Things you do not undertand. But God’s Word promises us today that our Father works all things together for our good. You must not calculate consequences as they respect this life. If you would preach the gospel as you ought to preach it, the approbation of God must be your main object. What if you were to lose your friends and diminish your income; nay, what if you lose your liberty, or even your life—what would this all be, compared with the loss of the favor and friendship of God? Woe unto us, if we shun to declare any part of the counsel of God! He that is afraid or ashamed to preach the whole of the gospel, in all its implications and bearings, let him stand aside; he is utterly unworthy of being a soldier of Jesus Christ. Sometimes, if you would speak the whole truth, you may be reproached as unsound and heterodox. But you must not yield to popular clamour. If you have truth on your side, stand firm against all opposition. Last Saturday was Opening Day at Cove Creek. This is our family's seventh season at Cove Creek Park. Somehow I am serving as Head Coach of Isaiah's Rookie League team (the Hot Rods; FYI: named for a Class A Minor League Farm Team for the Rays in Bowling Green, KY) and as an Assistant Coach for Sam's Major League team (the Angels). The Hot Rods were idle on opening day. The Angels had a convincing 7-3 win over the White Sox. Sam pitched a six inning complete game and went 2 for 2 (with a double, a single, and a walk) as the lead-off hitter. 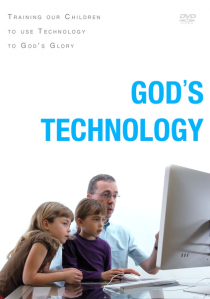 We don't normally do "Sunday School" at CRBC, but yesterday we had a special class in which we invited our families to view and discuss the excellent video by David Murray titled, God's Technology: Teaching Our Children To Use Technology to God's Glory. I would commend it to any individual, family, school, or church as a useful ministry tool. You can read more about the DVD on David Murray's blog and watch an interview with Murray by Tim Challies here.